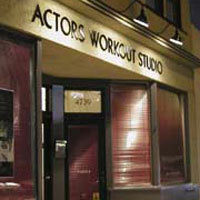 The Actors Workout Studio is a Los Angeles acting school that offers a safe and challenging work environment for the beginning or professional actor. The Studio is dedicated to training and preparing actors for professional work in the film and television industry. Classes are small and very individualized.